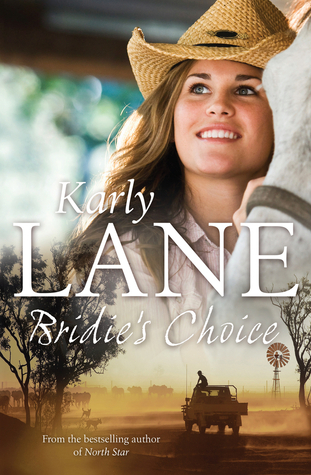 In a slight departure from her usual offering of rural romance, Karly Lane blends a contemporary and historical narrative in her fourth novel, Poppy’s Dilemma. Poppy Abbot is sorting through her late grandmother’s belongings after a difficult day at work when she discovers a diary penned by a young woman whom she assumes to be a relative, Maggie Abbot. At first glance the journal seems to be the idle ramblings of a young girl desperate to avoid the chore of milking the cows, with a crush on her brother’s best friend, then Poppy discovers a love letter addressed to Maggie wedged between the pages written during the First World War. Intrigued, Poppy finds herself captivated by Maggie’s story but frustrated when she discovers a handful of pages missing. In the hopes of finding out what happened to Maggie and her lover, Alex, Poppy decides to finally deal with her grandmother’s estate, traveling to the tiny country town of Warrial. It is there where Poppy finds the answers she was seeking to the mystery of Maggie’s fate and to the questions she never thought to ask. Merging historical fact with her vivid imagination, the wartime narrative involving Maggie and Alex was inspired by a news article Lane discovered about a crime that took place in her home town in 1920. Intrigued by the case, Lane’s research led her to a cache of letters written by the perpetrator, further piquing her interest. 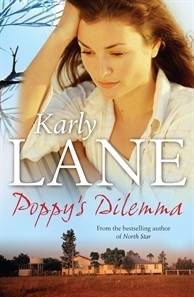 With the motive for the crime obscured, in Poppy’s Dilemma, Lane has created a credible story and characters to explain the tragedy. The historical narrative is a poignant reminder of war and the tragedy of those that returned mentally and physically damaged, or did not return at all. Lane also explores the sentiments of the time and the social and economic effect on the country, especially in regional areas like Warrial. Maggie and Alex’s story is a stirring bittersweet love story, all the more so for the truth behind the imagination. The contemporary storyline follows Poppy’s evaluation of the choices she has made in her life, particularly in regards to her focus on her career at the expense of friendships and romantic relationships. 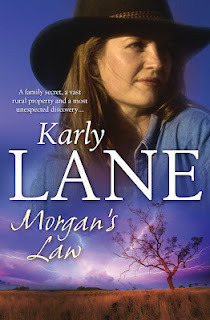 It is Maggie’s story, and her grandmother’s neighbour, a single father and stock agent, that penetrates the emotional guards she has so carefully constructed which has Poppy reconsidering her priorities. While I thought the writing was a little uneven in places, in part I think because the historical thread is related both in epistolary format and a third person present tense, the flow and pace of the story is well considered. Poppy’s Dilemma is a wonderfully engaging novel and I enjoyed both threads of the story, with the knowledge that Maggie’s story is based partly on fact provides an extra element of frisson. 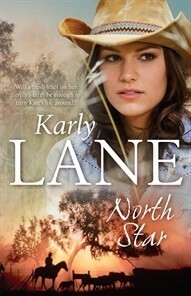 This is another must read tale from Karly Lane who writes from the heart. I really enjoy reading books that are set during war years….especially when those left behind find diaries, letters, etc., that reveal something previously unknown.